With the possibility of seven new Northern Ireland breweries entering the market soon, this new year could be a cracker for those of us who like our local beer. 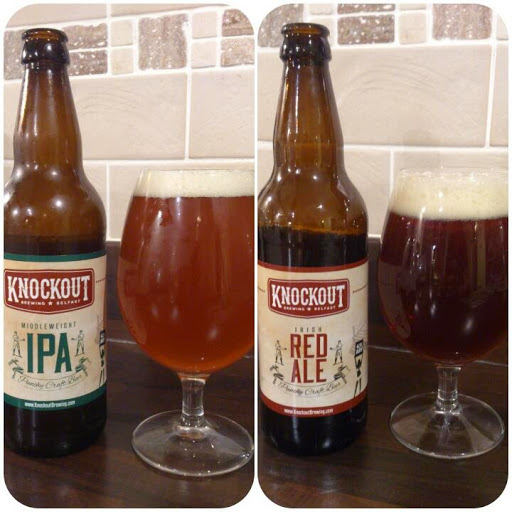 The first official new arrival of 2015 is Knock Out Brewing. Based on an East Belfast industrial estate, head brewer Joseph McMullan is quietly reserved, yet optimistic about the future. A former bakery, his site is of a decent size and adequately holds his 900 litre tanks and bottled output – for now. By his own admission he’s played safe by starting out with a couple of favourite styles for Northern Ireland drinkers, an IPA and red ale. The 4.5% abv IPA has a light citrus taste coming from the New Zealand Wakatu and Slovenian Savinjski Golding hops. The red ale, also 4.5%, has an understated caramel aroma and uses American Willamette hops which creates a slightly fruity aftertaste. Joseph concedes these beers aren’t going to set the world, or indeed the local beer scene, alight and I agree with him – getting the general public to accept your core beers and branding (which is excellent by the way) is merely stage one. The other stages will come in time. Good luck to him. Available to buy in decent beer outlets from this week.